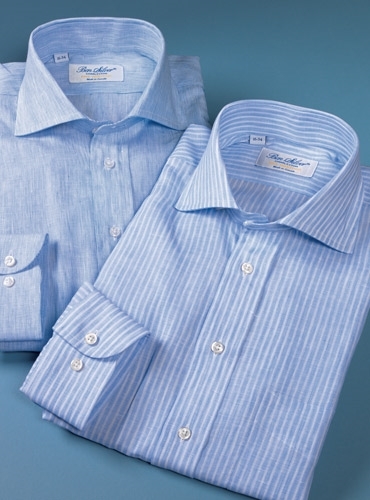 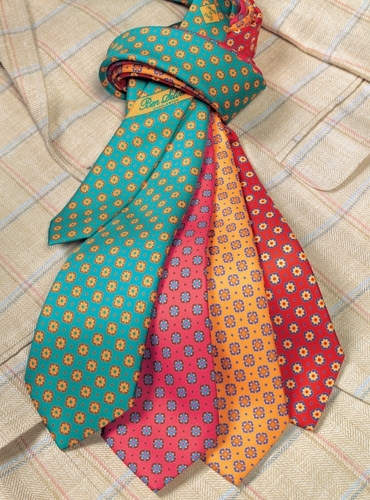 The renowned Irish mill, Magee of Donegal, has woven this handsome fabric for us in 55% silk and 45% linen. 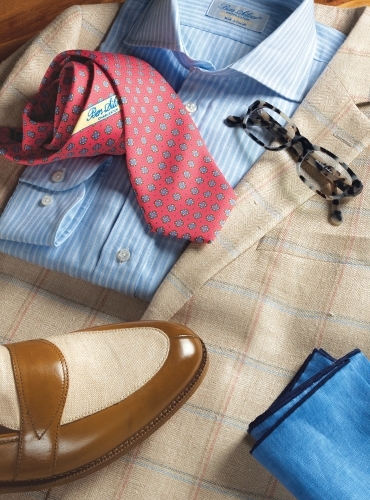 The cream herringbone ground is set off by a handsome blue and rose windowpane. 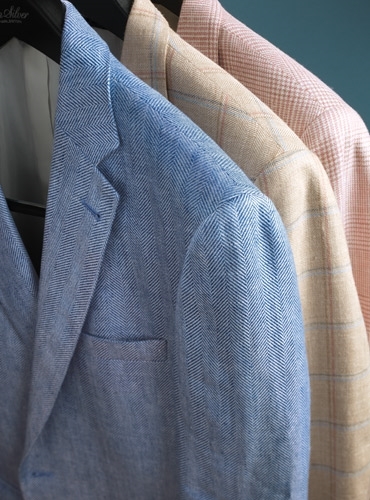 As with all of our jackets, cut in our authentic American style, in a comfortable natural shoulder silhouette, with a two-button front, and trim 3" bluff edge lapels, with side vents, and double pipe and lower flap pockets, in a full size range. 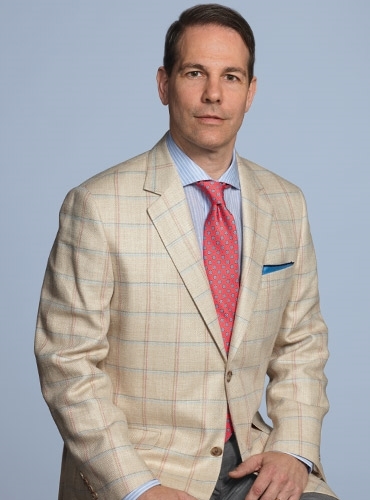 Shown with a handsome pure silk printed necktie in a salmon ground, a pure linen white striped sky blue shirt with a versatile cutaway collar, a cobalt linen hand rolled pocket square, and light grey tropical wool trousers.